This issue of Aerospace Lab is dedicated to aerial robotics. During recent years there has been an emergence of small unmanned aerial vehicles that can be used for inspection or surveillance applications. 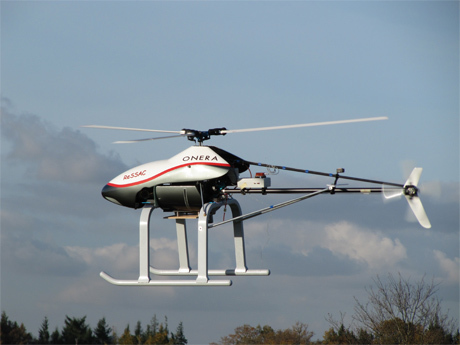 With the constant miniaturization and cost reduction of electronic components, such as inertial measurement units, vision sensors and micro-processors, aerial vehicles weighting only a few kilograms can now benefit from advanced technologies that were used before only for full scale aircraft. This opens the door to ever more sophisticated machines, with strong perception and action autonomy. The articles presented in this issue of Aerospace Lab describe the work performed in this context by research laboratories. Several issues are addressed, such as mechanical design and pre-sizing to optimize performance, state estimation and feedback control design for improved stability in large flight envelopes, planning and mapping for fully autonomous flight and/or environment mapping, and avionics architecture and certification.